For less bulk when you are pinning! These pins are very thin and very sharp. The 50 mm length allows you to see and grab them easily, therefore, they do not get "lost" in the seam. 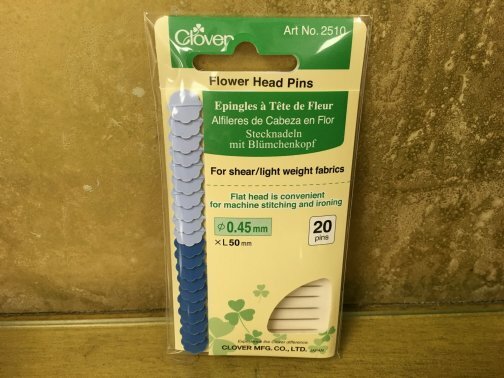 The flowered flat head is convenient for stitching and ironing because they are long. is having a price increase starting TODAY. Under legal contract It's Sew Moab LLC must sell at CREATIVE GRIDS pricing. Smart shopping to those who stopped by to take advantage of the old pricing!